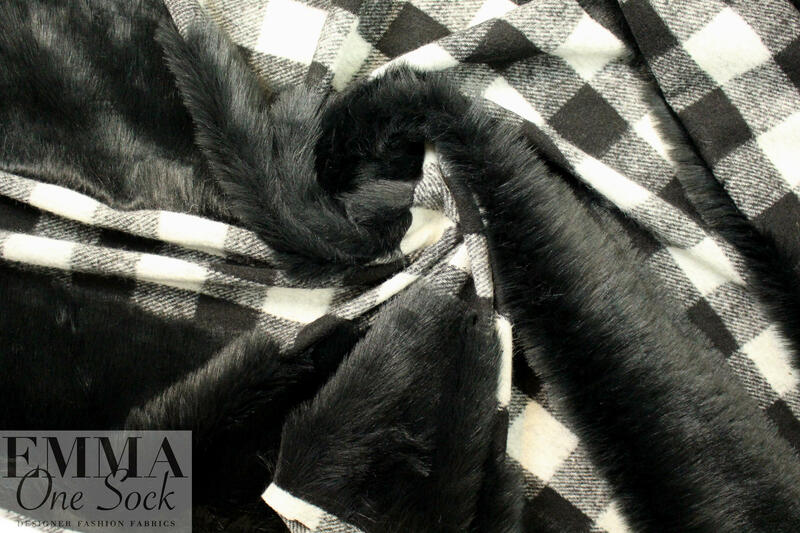 Oh my gosh, this is a crazy wonderful faux fur coating just in with a new shipment from Italy, which consists of a super soft and luxurious 1.75" pile black faux fur alternating with a wooly black and winter white checkered plaid (4.375" repeat). 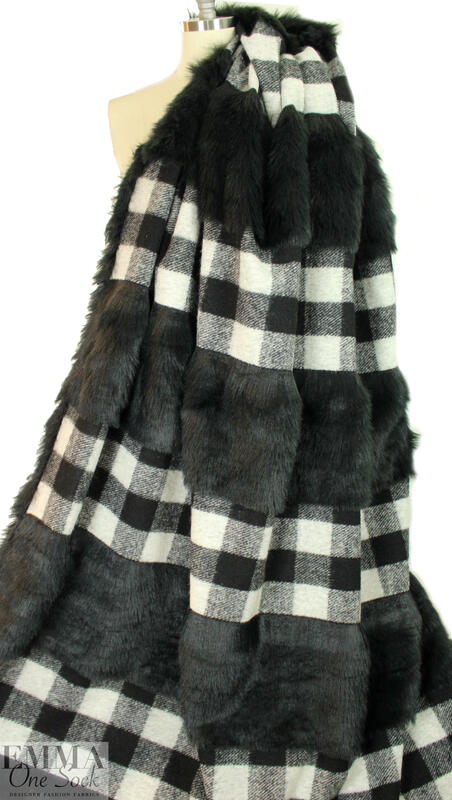 The total repeat of the fur and check is 17", and it's a coating weight with nice drape that has some body. 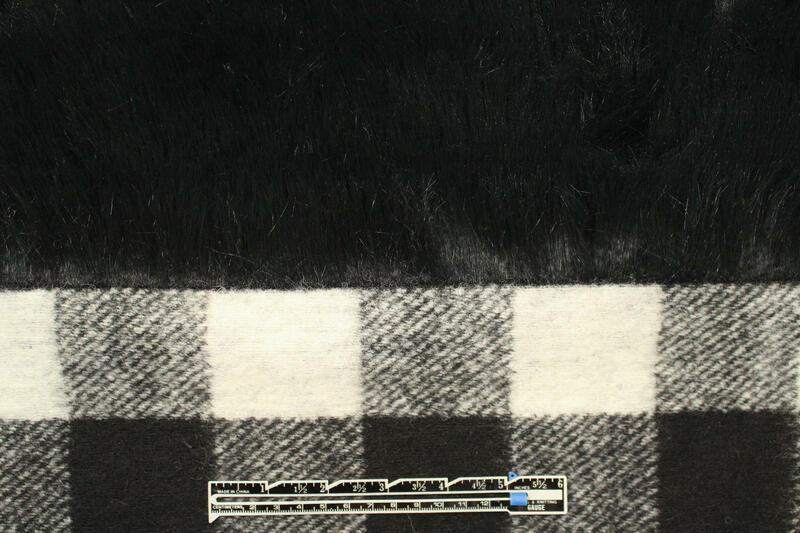 It is an exceptional, high-fashion coating fabric that would make the most fabulous coat or jacket! 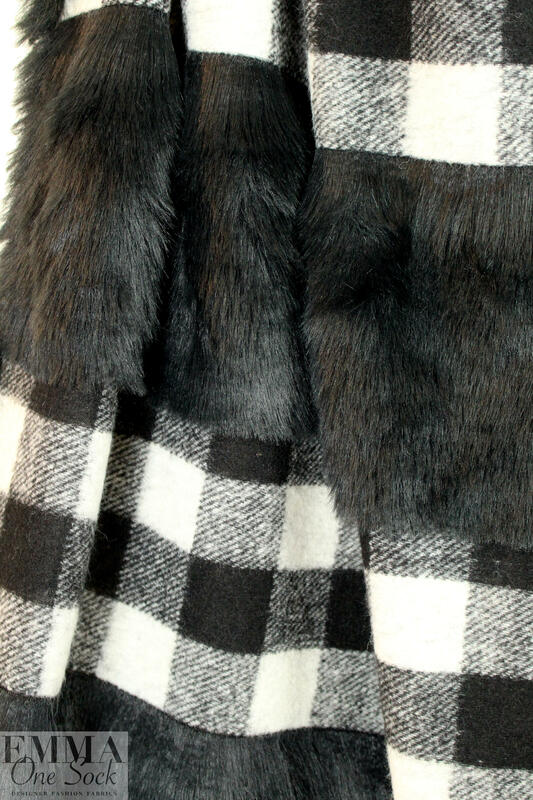 Gorgeous quality and unique, and the soft faux fur provides suppleness and movement. Dry cleaning recommended.